Let me introduce you to another stupendous Canadian! Chania's blog, Razmataz has been a long time read of mine. Her blog is chock full of vintage and design goodness. Her latest decorating adventure has her designing her home away from home in St. Petersburg, Florida. Her eye for pretty is evident in her spaces. 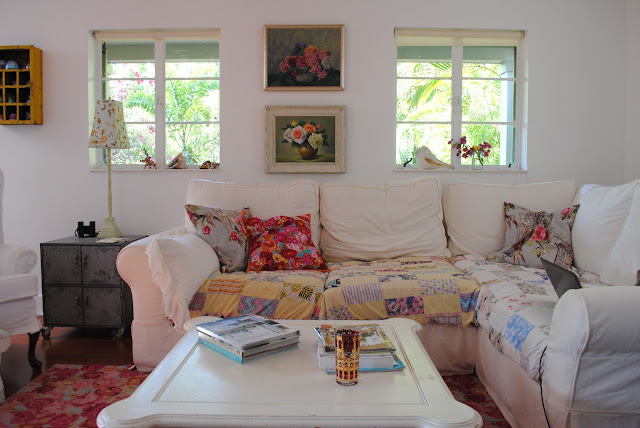 I love the mix of relaxed fabrics, florals and chippy furniture. 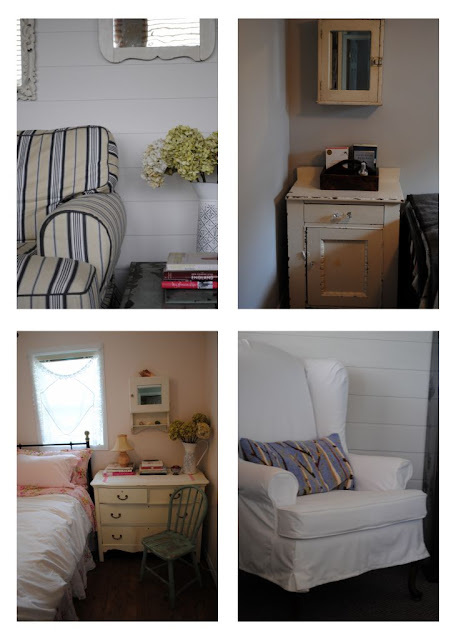 Yet her spaces don't scream frumpy shabby chic, but instead are refined and elegant. Chania also has an online shop where she sells linens, rugs and her vintage finds. Another fun fact is that recently Chania has started to foster Labrador Retrievers, why anyone want to hurt those lovely creatures escapes me, but I salute her for taking this cause to heart. As a fellow lab owner, I can attest to the loving nature these dogs exhibit, despite them testing your patience! I hope you are blown away by Chania's talent as I am! Her Florida living room. Don't you just want to curl up on that sofa with some mint julep and lounge all day? If you don't like your popcorn ceilings, then cover with bead board as Chania has done in her home in Canada. Her dining room in Canada. What a fabulous mix! Tell us a bit about yourself? Has design been something you have always been drawn to? Or something you realized later in life? I have always loved design, but never considered it as a career. I quit my job in banking to stay home with my kids, and took a few Interior Design Courses at a local college. When I returned to work full time 10 years later, I ended up in health care (oncology) which I loved, but after 10 years, I made the decision to leave it and go back to school full time. I was 42, so it was a big decision at the time, but one that left me with an opportunity to be self employed and set my own hours, plus devote some time to my mother who has experienced a catastrophic stroke. Personally it mismatched, messy, casual and unique. Very laid back…feet up and drinks on the table-no mats, piles of books and lots of what I call my “BITS”…collections, old things, found items. artsy pieces, wall groupings of art, beads, crosses etc.. From a professional standpoint, I would say my style is more polished, but with really well chosen pieces with some vintage and antique bits to reflect the likes of my client. I like to use the best key pieces (sofa, art) that they can afford and build from those. I’m not into “disposable décor” and trends at all. I have lived in 20 houses in my lifetime…(17 before I was 26 years old……one of them was a Railway Car in Nairobi. My mother tells me that the car would get shunted in the middle of the night to another track and the 4 of us (all under 6 would be black with soot from from tracks. What is your “day” job? Is it design related? I work 20% of my time doing the receivables/payables for my husbands company, and then split the rest between my design client work and my online business selling rugs and linens, although the past few weeks, I have been working 95% for a very big client. You have such a rich multicultural background, you are British, born in Africa, living in Canada and Florida; do you find having exposure to varied locations influences the way you decorate your homes? I love British Interiors with Aga’s and old pine floors, built in’s etc, and that general mix of vintage and casual comfort that the British do so well, but I am very drawn to ethnic bits, such as fabrics, baskets and other trinkets. I collect things like prayer beads from wherever I travel and hang them in bunches on old rusty hooks as art. I like to discover what clients “pick up along the way” and use it in their home. I also like to encourage people to buy really good wool area rugs with an artistic or ethnic vibe to add some personality. 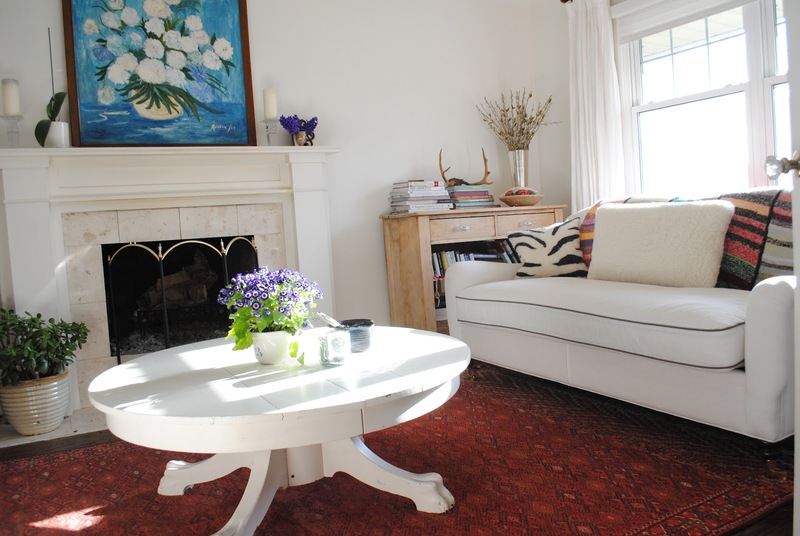 Good bones, a good sofa and a fabulous rug, and you have a really good start and need very little else. I really feel that a house has to be authentic though, so if you don’t travel, it’s much better to go to second hand shops and flea markets and pick up interesting things than it is to go to Home Sense and buy say “African” looking things that are mass produced in China. Look on Etsy, E-bay etc and let it evolve. I love Canada, but I do despair of the sprawling suburbs with non descript architecture and the lack of conservation of our old buildings. So I do like to add some architectural interest to my projects. Making the bones of the house better, creating a better, more interesting canvas, then doing with less in the way of “stuff” to fill it. I also feel strongly about not making a house what it can’t and never will be…you just can’t bead board a 1980’s circular staircase hallway and get a farmhouse feel. Florida has added a new dimension to my design style as I can use colours there that would never work in Ontario, and my house there is old and Spanish and has authentic charm. 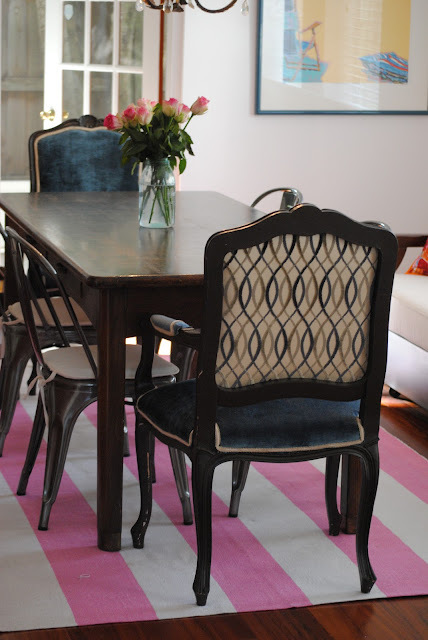 It has so much character that the furnishings are secondary, unlike a home where the décor has to hold the house up. Suprisingly in St. Petersburg, despite the tropical heat, I am finding the décor very traditional. Lots of dark oak trim and floors and dark rolled arm sofa…the North slid down to the South. There’s a ton of Dutch colonial and ranch style and formal houses. Not as beachy and Spanish as I had thought. How long have you been blogging? Why did you decide to start a blog? I’ve blogged for 4 years, and began as a way to challenge myself to take better photos. And of course it is somewhat addicting. If I spent the same time and effort on building my business as I do blogging, I might have been published by now.! I read loads and loads of books…I try to keep to Canadian authors but I read pretty well anything I get my hands on. Cooking is another pastime, and I have just started as a Foster parent for Labrador Rescue, homing dogs until they find forever home. Drinks with friends, dinners with family, eating out and travelling are my fav things to do. I also dabble in hand made felt art. I would learn to paint…always wanted to have a studio, wear my hair in braids and smoking slippers all day. I’m a hippie at heart. And I would love to meet Ina Garden. She’s low key, under the radar, but a great business woman and talented chef. She could come and tell me all about Geoffrey while we eat her fresh baked cake in my studio! 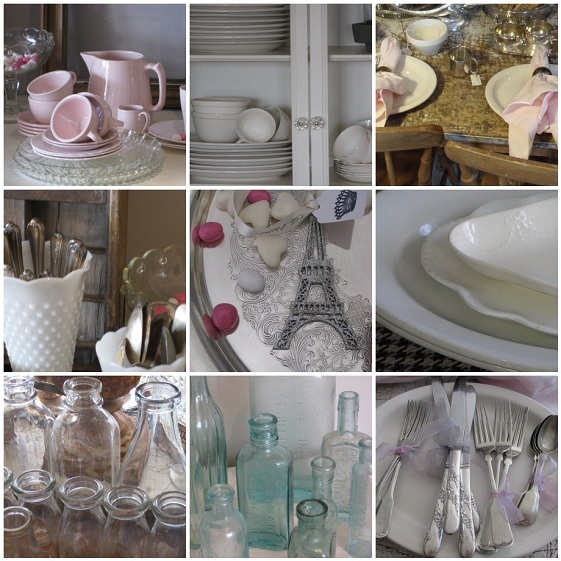 You have such a great shop – Razmataz Vintage Market, where do you source the items you sell? How do you decide what to sell and what doesn’t make the cut for your shop? My friend and I started the vintage market and found our pieces while on wacky day trips through the Ontario countryside, worming our way into backyards, barns, houses, and a few scary places. We tried selling online, but the shipping costs are crazy, so we gave that up. We looked for things that are white and chippy because that’s what everyone sells. We like the ethnic bits. We have loads in storage and had one sale last year and will do another later this year. Canadian Design, I think, has a low-medium profile in the world design scene. There is still along way to go to get international recognition. Look at Christiane Lemiuex for example…most people think she is American. We have such talented photographers and stylists here that are making names for themselves worldwide. I do think Canadian style is unique, but it is hard to define because we are so ethnically mixed. When I see great Canadian design, it almost always has a bit of an ethnic or vintage mix. I would like to see more ethinically inspired design in the design magazines because it would be so interesting. We have a huge Asian population…a thriving indigenous population, the whole French influence. We have much to build on and I am seeing it trickle into the mainstream. Lovely interview and photos! 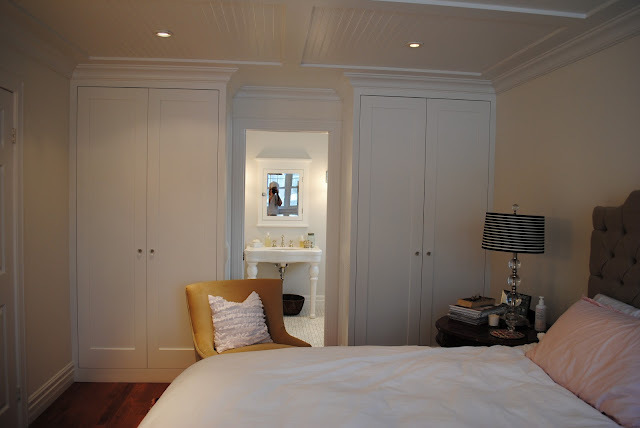 I'm particulary smitten with those built in wardrobes in the bedroom shot. LOVE! As another Canadian blogger I was so happy to find Chania's blog and have been following for some time. She is witty, fresh and I love her collected over time style. Lovely feature! 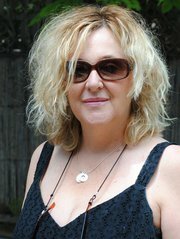 Yes I'm another Canadian blogger and follow Chania's blog. Love her style. Happy that she rescues Labs. Thanks for introducing us to Chania! I love love love her style and isn't that crazy she's moved 20 times!!! So lucky to have a home in Florida to balance out Canada's cold winters. The bathroom sink peeking into the bedroom is super cool and I just got inspired by her Canadian family room with the little hutch with books on top. I now know what to do with my antlers that I can't seem to hang on my wall. Off to check out her blog.